Conflict refers to a state of misunderstanding or discord as a result of competing interests, values or principles. 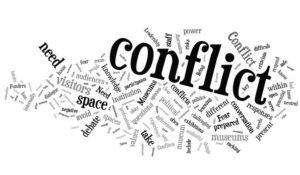 Conflict may be experienced between two people or between different nations. Conflicts usually result into war. However, it does not necessarily mean that any conflict would lead to war. Conflicts can always be mitigated before the two conflicting parties wage war. Various solutions can be used to reduce conflict at different levels. The world has seen several clashes in the recent past. The most current conflict in the world includes the Israeli-Palestinian conflict and the clash between Israel and Turkey. However, possible mitigations can be proposed to bring an end to the conflicts that have affected the Middle East. The Middle East comprises of countries that are found in the Western Asia and Northern Africa. The Middle East is the richest supplier of oil in the world. Oil is considered as the backbone of most activities in the world today including technological, economical and transport. The Middle East has always made local and international headlines concerning constant conflicts in the region. The conflict has continued for a long time despite the efforts undertaken by both local and international leaders to restore peace (Bennis, 2007). The majority of people in the Middle East are Arabs. However, there are some ethnic groups or nations which are non-Arabic. Some of these ethnic groups include the Jews, Greeks, Armenians, Assyrians, Kurds and the Mandeans. Besides, Turkey, Iran, and Israel are some of the countries which are non-Arabic. The conflict in the Middle East has been in existence since the beginning of the year 1980 (Bennis, 2007). It is believed that the conflict is being fueled by the western European countries and the United States. Most of these countries are interested in the oil that they use to run their economies. The western European countries including Britain, Russia, Germany and France wants to benefit from the commodity at the expense of the host countries. The difference in religious and ethnic practices has made it difficult to restore peace in the Middle East (Bennis, 2007). On the other hand, countries such Turkey and Israel which are not practicing Islamic religion have also risen against each other. This has stalled the efforts which are being made to restore peace and prevent constant attacks in the region. Therefore, this paper outlines the conflict between Israel and Turkey and the Israeli-Palestinian Conflict in the Middle East. Turkey and Israel have enjoyed a peaceful relationship for several years. The cordial relations between these two countries began in the year 1949 when Israel was recognized as an independent state by Turkey (Jung & Wolfango, 2002). Turkey was the first Muslim-majority country to recognize Israel as an independent state. The two were great trading partners where Israel supplied weapons to Turkey. Besides, Turkey played a significant role in mediating in various conflicts that involved Israel and her neighboring countries such as Syria and Iran among others. The tension between Israel and Turkey began in the year 2010. This happened when the Israeli soldiers attacked the Turkish boat that was ferrying people into Israel (Evans &. Selcan, 2015). The boat carried illegal Turkish immigrants. During this time, the government of Israel believed that government of Turkey was becoming a stumbling block in resolving the Israeli-Palestinian war. The Turkish government was reluctant to support Israel to get the Gaza Strip. As such, the Israeli government began to feel that their friendship was no longer in existence. Israel believed that Turkey was supporting the Palestine who is a great enemy to Israel. The government of Israel demanded that Turkey declares their stand concerning the war. The conflict between these two countries made them break their communication lines. The Turkish government reacted bitterly when the Israeli soldiers sank their boat (Evans &. Selcan, 2015). The Government of Israel claimed that the vessel was used to ferry terrorist who was to attack the Israelis. The government of Turkey was reacting to the activities of the Israeli soldiers in the Gaza Strip. The activities of the Israeli soldiers claimed the lives of over 1300 Palestinians in their quest to acquire the Gaza Strip. The difference in ethnic groups intensified the conflict between these two countries. Israel is majorly composed of the Jews while Turkey comprises of people of Arab origin (Evans &. Selcan, 2015). Moreover, the Middle East consists of nations of Arab descent. As such, Turkey became hesitant to support Israel against Palestine. Arab speaking countries surround Israel. In this case, Turkey would betray other Arab nations if she decided to support Israel. The other Arab nations would view it as an enemy and a country that is not willing to support their interest. This made Turkey to cut her relationship with Israel so as to appeal to other Arab nations. The conflict between Israel and Turkey also resulted in an exchange of words between their political leaders (Zanotti, 2010). They have insulted each other in various public and general meetings. This is in regards to Israel’s decision to attack Gaza. For instance, in one of the UN general assemblies, the President of Turkey referred to his Israeli counterpart as a person who thrives well in killing people. President Erdogan was reacting to the Gaza attack where Israeli soldiers killed over 10 Turkey and 1300 Palestine civilians. He lost his temper and acted angrily to the Israeli military activities. It was a sign of showing his displeasure and anger against the government of Israel. The dispute between Turkey and Israel is one of the most recent conflicts to be experienced in the Middle East. It began in May 2010. The Israeli government sank as sheep ferrying Turkish civilians whom they accused of being Terrorist. There are various speculations that the two countries can never reconcile and become friends like in the past. However, there are various mitigations that the political leaders and the third parties can implement to restore peace between these two countries. Firstly, the government of Israel should reflect on the causes of the war and change their stand (Zanotti, 2010). They should accept the Turkish civilians were never terrorists and should apologize to the government of Turkey for having killed her innocent civilians. In this case, the Israeli government should compensate the families whose members were killed during the boat attack. This will help to boost the relationship or friendship between these two nations. They will develop trust in each other, and this might help mitigate the conflict. Secondly, the two political leaders should stop insulting themselves in public and international meetings (Evans &. Selcan, 2015). Both presidents should understand that the insults will not make any of them become a great country. However, it would just intensify the tension leading to increased hatred and even military attack. The President of Israel and his Turkish counterpart should engage in closed-door meetings, negotiate amicably so as to bring an end to the conflict between the two countries (Zanotti, 2010). This will help them restore peace and enjoy the cordial relations that existed before 2010. Thirdly, the Middle East countries should come together and form a regional bloc like the European Union or the African Union (Evans &. Selcan, 2015). This will allow them to air their demands to the union. The association will also help in resolving any form of conflict that may erupt or hinder peace in the region. The union will also be in a better position to understand the demands of various countries in the area. The union should also set counter claims which must be fulfilled by member countries. Any country which fails to fulfill such demands should be fined heavily for failing to show respect to the union. Lastly, the Turkish or the Israeli government should engage other third parties such as the United Nations to help them restore peace in the region (Salinas, Moises & Hazza, 2009). They should involve some of the officials from the union to act as arbitrators towards restoring peace. The above solutions will restore peace among the two nations. The Israeli-Palestinian conflict has been a very volatile conflict that has attracted the world’s attention (Frank, 2005). Some of the major world powers such as the US and Western European countries have demonstrated efforts to solve the conflict and restore peace between the two warring nations. The Israeli-Palestinian conflict is based upon three main issues. These include religion, land, and borders (Zanotti, 2010). The two countries have been fighting over the Gaza Strip, the West Bank and the regional unit occupied by Israel. The military action, economic prosperity of the Jewish people and the settlement of the population of the Jewish origin from other parts of the world have also fueled the conflict (Cordesman, 2002). The conflict was also spurred by other factors including the rise of Nazism in Germany where the people of Jewish origin were persecuted. The conflict began immediately after the end of the Second World War. After several persecutions, the Jewish were forced to return to Israel which they believe was their land which was promised by God (Frank, 2005). The Palestinian- Israeli conflict is one of the intractable conflicts ever experienced in the world. The conflict revolves around other factors including religion, ethnicity, territory, imperialism, economics, and water dispute. The idea of European nationalism and the political differences after the Second World War led to the rise of Palestinian and Zionism nationalism (Frank, 2005). The European nationalism made the two countries to understand nationalism, statehood, and self-determination (Cordesman, 2002). The Jewish people were a community that was spread all over the world with no place to call a country or state. Their religion played a significant role in ensuring that they returned to the Promised Land Israel which was their original homeland. The Zionism which was an ideology and a nationalist vision encouraged the Jewish to settle in Israel (Caplan, 2010). After settling there, they started to entrench to other areas including Gaza as a result of the increasing population. Their ever-increasing efforts to set their boundaries have created a conflict that has failed to end. The Israeli have continued to dominate the Palestine’s. Several of them have ever since been arrested and put in prison in Israel. The conflict has attracted the attention of the international community, and several commissions have been formed to address their differences, but a positive result has never been realized. The 1967 war plays a significant role in understanding the conflict between Israel and Palestine. After the war, Israel took control of the Gaza Strip and the West Bank which were mostly dominated by the Palestinian population (Cordesman, 2002). Today, the West Bank remains under the supervision of the Palestinian Authority. However, the Israeli continues to occupy the region. Their military troops restrict the movement of the Palestinians in this area. The Jews have continued to expand their activities in this region hence denying the land to the Palestinians. On the other hand, the Gaza Strip has also become under the Israeli blockade denying the Hamas the opportunity to control this region (Caplan, 2010). The Israeli-Palestinian conflict has also been fueled by Israel’s national ideology known as Zionism. According to the Zionists, Judaism should be recognized as a religion as well as a nationality. This allows the Jews to own Israel as their ancestral homeland. This ideology brought the Jews back from their previous settlements to Israel. Their settlement in Israel has been a primary concern for Palestine and other Arab countries. The Jews traced their original home from the biblical story during the time of King David and Solomon (Bennis, 2007). The return to Zion was spearheaded by Theodor Herzl who was an Austrian- Jewish journalist (Caplan, 2010). In his assertion, he was convinced that the Jewish people could not survive in any place other than Israel. He was inspired to lead the mass emigration of the Jewish to Israel following the anti-Semitism persecution that targeted the people of Jewish origin in Europe. The Zionist ideology made the Jewish to believe that Israel is a country that should exist and have its form of government (Zanotti, 2010). The Arab and the Palestinian government have always opposed Zionist since it gives the Israelis more powers and privileges. For instance, Zionism allows all the Jews outside Israel to acquire Israeli citizenship. This is contrary to what the Palestinians and other Arabs enjoy in the Middle East (Frank, 2005). Arabs also view Zionism as a form of racial discrimination that disfranchises the Palestinians in Israel. The Israeli-Palestine conflict is a major concern for most of the countries in the Middle East. The conflict has seen Israel engaging in war with other nations such as Egypt, Iran, Turkey and Saudi Arabia (Bennis, 2007). Several peace treaties have been signed to restore peace between Israel and the Middle East Arabic countries. However, there still exist sour relations between Israel and her immediate neighbors. The conflict has seen several Arab states coming together to oppose the Jewish occupation of Israel (Caplan, 2010). Some countries such as Iran have provided financial and military support to Palestinians to allow them evicts the Jewish out of Israel. However, their efforts have not been fruitful since the United Nations, and the Western European countries have supported the demands of the Jewish people. The Israeli-Palestinian conflict has had several effects in the Middle East. The conflict has created tension and animosity between the Israelis and other countries of the Arab origin (Bennis, 2007). The United States and the Western European countries have also developed an interest in the conflict. However, their efforts have not been fruitful. The United States has always supported the activities of Israel in the Middle East. It has provided massive financial support and diplomatic backing to Israel. 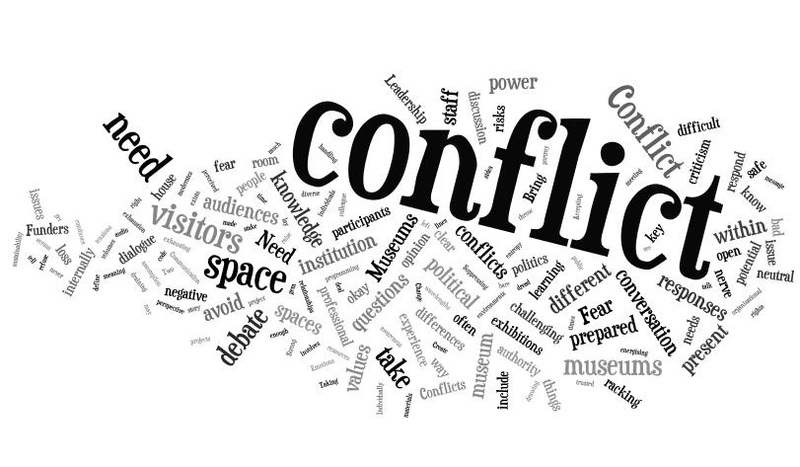 The conflict has been a major concern for various countries in the world (Salinas, Moises & Hazza, 2009). It has resulted in political hostility in the Middle East with most Arabic countries ganging up against Israel. Therefore, it is high time that the world should come together to provide a lasting solution to the conflict. As such, I would propose the following solutions to bring an end to the conflict. Firstly, the state of Israel should be created within the Palestinian land (Zanotti, 2010). The people of Israel and the Palestine should then be encouraged to embrace peace. Moreover, the Palestinian Authority should then be allowed to control of the Gaza Strip and the West Bank. The city of Jerusalem should also remain as a capital city for both countries (Salinas, Moises & Hazza, 2009). It should be divided into two, the western and eastern Jerusalem. This would help to ease the tension between the two states. After splitting the city of Jerusalem into two, the Palestinian refugees who are who are living in Jerusalem will no longer become refugees again. In regards to this, the two countries should also consider the Clinton Parameters which he proposed on 23rd December 2000 following a meeting with the leaders of Israel and Palestine in the White House. The Gaza Strip, West Bank should remain under the control of Palestine (Frank, 2005). This model represents a lasting solution since it caters for the interests of the two countries. The two-state solution allows the two countries to share or deal jointly in the provision of certain services such as security, infrastructure, and the economy. Besides, they would be subjected to one Supreme Court that deals with the matters of human rights (Zanotti, 2010). Jerusalem would remain as the capital city for the two states. The plan would also separate citizenship for the two countries. This would favor the spiritual and historical connections that are shared between the two nations. The Jewish should be allowed to belong to the Holy Land of Israel which they believe is their promised land (Salinas, Moises & Hazza, 2009). Besides, the citizenship that is supposed to be granted to these two countries should allow the Jewish to cross to the Palestinian side. The citizens of one country should also be authorized to reside and conduct their services. Moreover, they should abide by the laws of the other territory. Secondly, the two states should be merged into one state. Both the Jewish and the Arabs should agree to become one state under one government with a common citizenship (Glick, 2010). This would help to ease the tension since most of the resources would be shared together. However, other critics argue that the solution will not bring lasting peace between the two countries. The Arabs may use the opportunity to persecute the Israelis, and these may lead to the second Holocaust following the hate speech bring propagated by the Palestinian media (Frank, 2005). On the other hand, the Jewish would not accept to lose key territories such Jerusalem to be controlled by the Arabs. Lastly, the two countries should respect the territorial lines that were marked in the year 1967 to separate Israel from the Arab world (Morris, 2009). Besides, the Palestinian refugees in Israel should also be allowed to return to Palestine. Israeli and the Palestine should be encouraged to avoid provocations that may intensify the conflict (Salinas, Moises & Hazza, 2009). They should respect the boundaries. However, when one crosses the border, they should abide by the rules and regulations of the other country. Bennis, Phyllis. Inside Israel-Palestine: The Conflict Explained. Oxford: New Internationalist, 2007. Print. Caplan, Neil. The Israel-Palestine Conflict: Contested Histories. Chichester, U.K: Wiley- Blackwell, 2010. Internet resource. Cordesman, Anthony H. Peace and War: The Arab-Israeli Military Balance Enters the 21st Century. Westport, Conn. [u.a. : Praeger, 2002. Print. Frank, Mitch. Understanding the Holy Land: Answering Questions About the Israeli-Palestinian Conflict. New York: Viking, 2005. Print. Glick, Caroline B. The Israeli Solution: A One-State Plan for Peace in the Middle East. , 2014. Internet resource. Evans, Matt, and M. Selcan Kaynak. “Media framing in religious–secular conflict in Turkey and Israel.” International Political science review 36.2 (2015): 139-152. Morris, Benny. One State, Two States: Resolving the Israel/palestine Conflict. New Haven [Conn.: Yale Univ. Press, 2009. Internet resource. Rabil, Robert G, and Walid Phares. Syria, the United States, and the War on Terror in the Middle East. Westport (Conn.: Praeger security international, 2006. Print. Salinas, Moises F, and Hazza A. Rabi. Resolving the Israeli-Palestinian Conflict: Perspectives on the Peace Process. Amherst, NY: Cambria Press, 2009. Print. Zanotti, Jim. Israel and the Palestinians: Prospects for a Two-State Solution. Ft. Belvoir: Defense Technical Information Center, 2010. Internet resource.